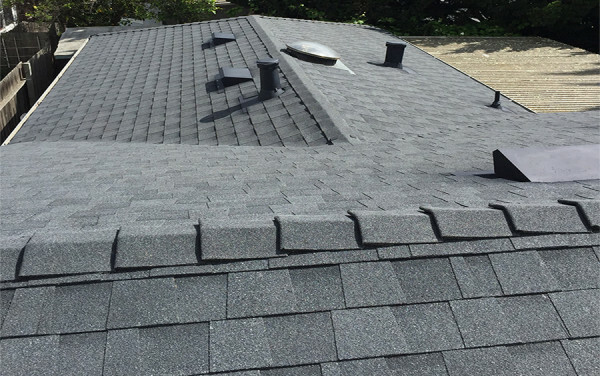 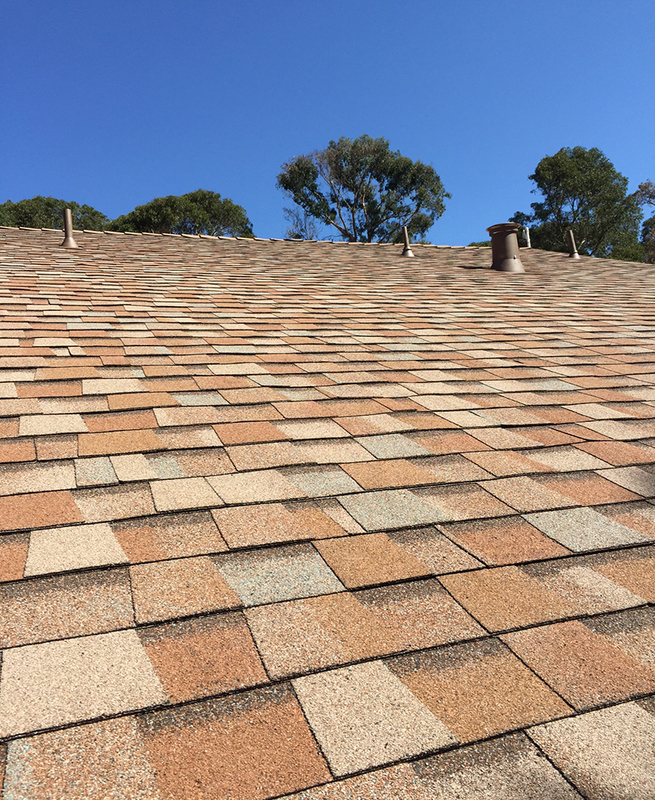 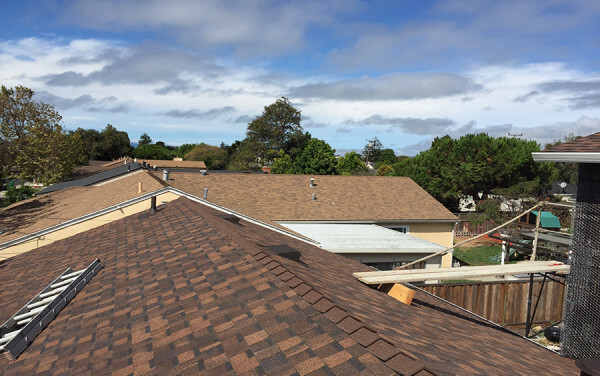 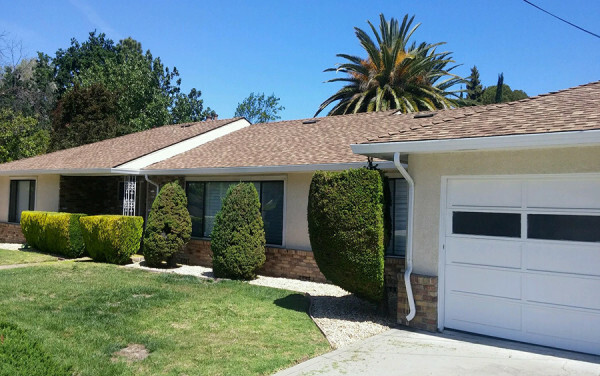 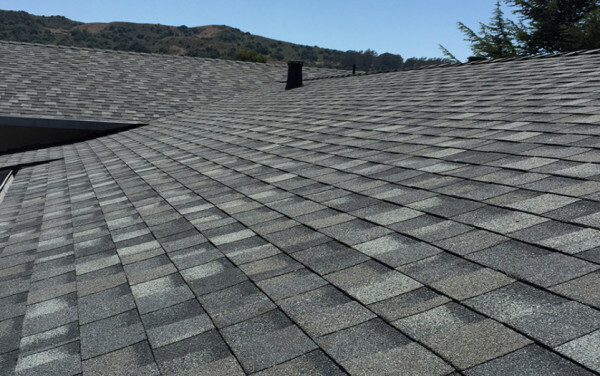 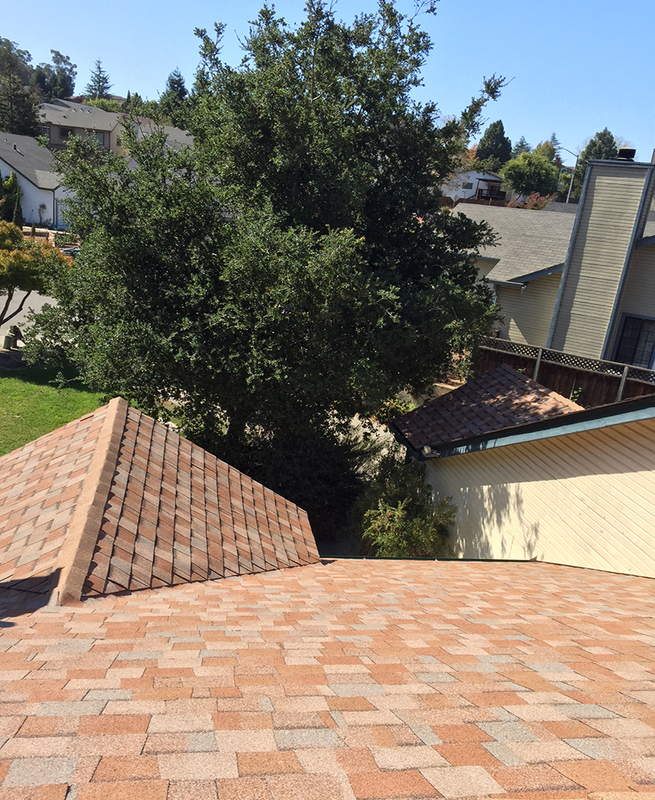 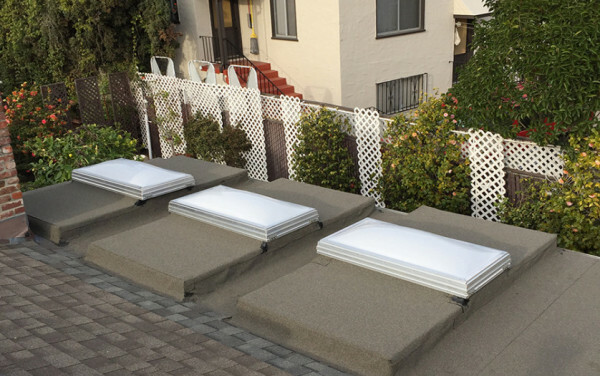 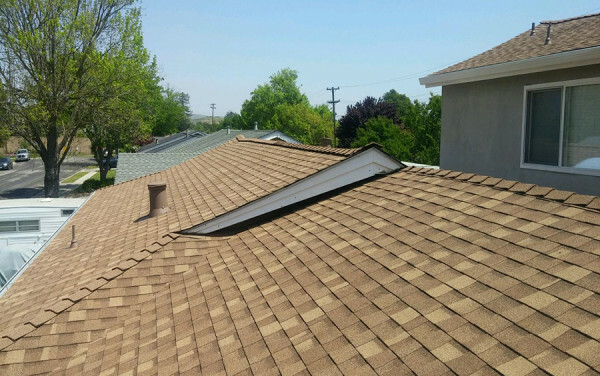 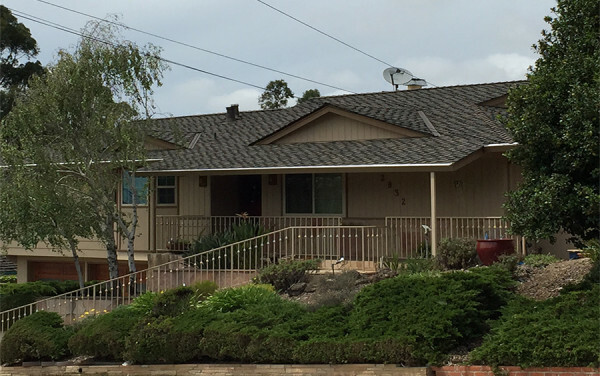 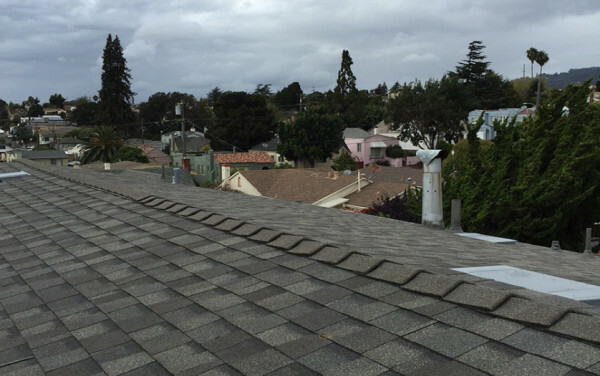 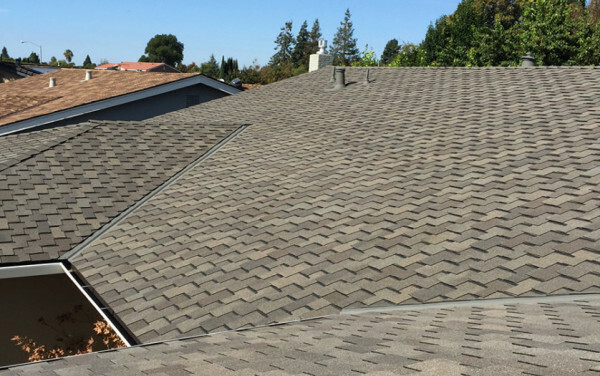 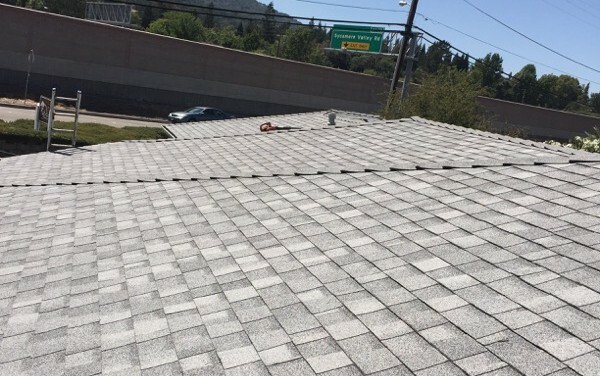 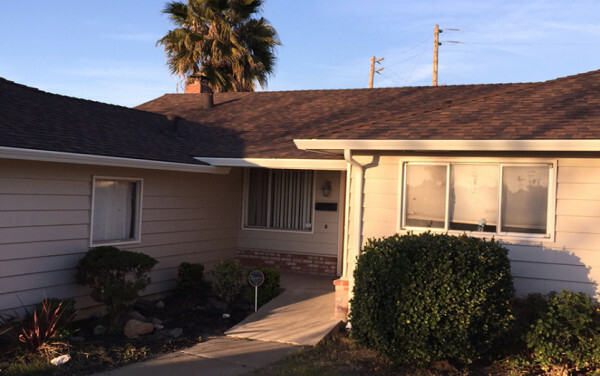 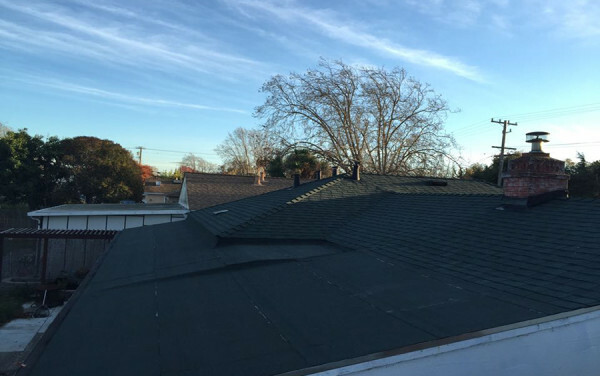 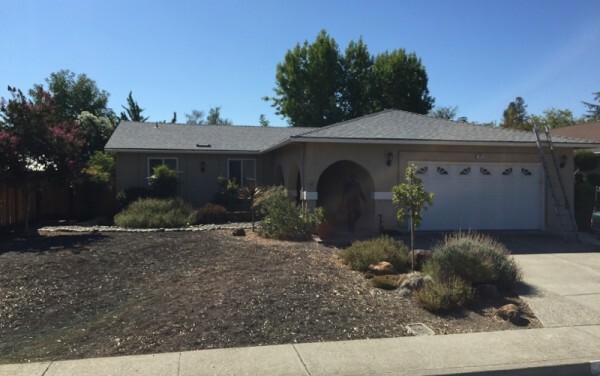 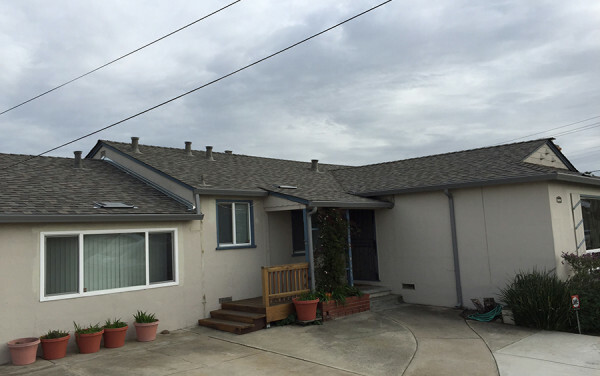 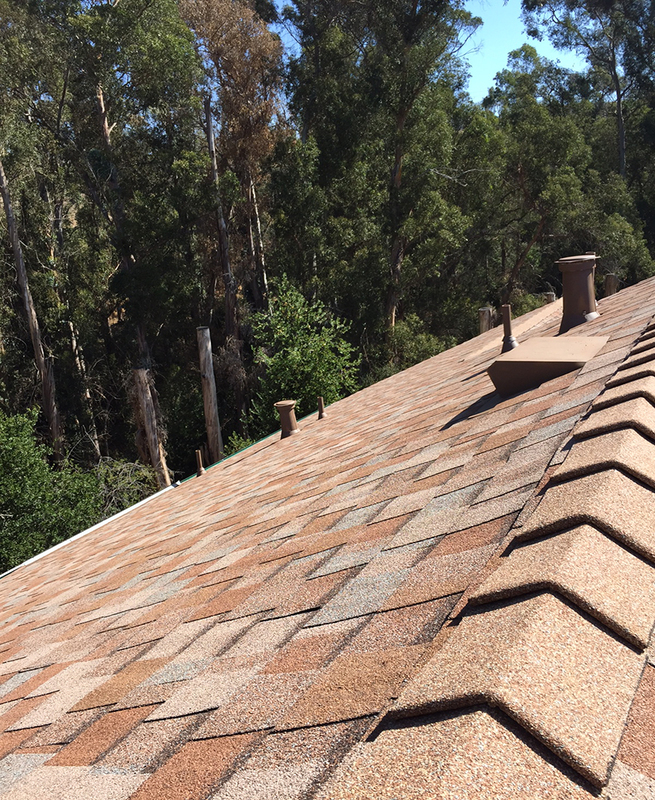 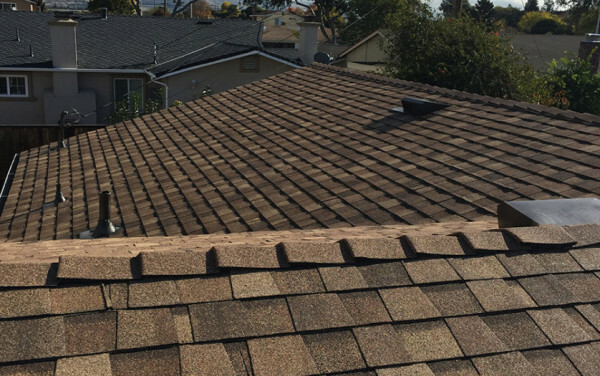 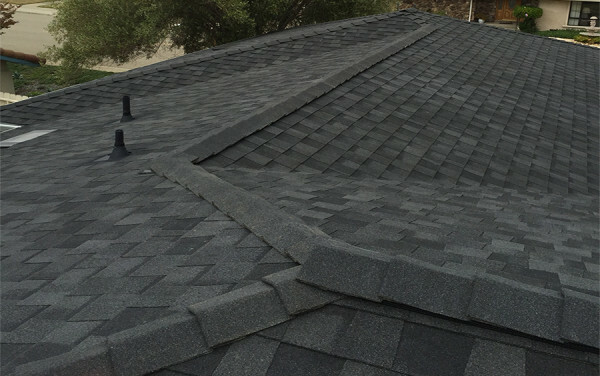 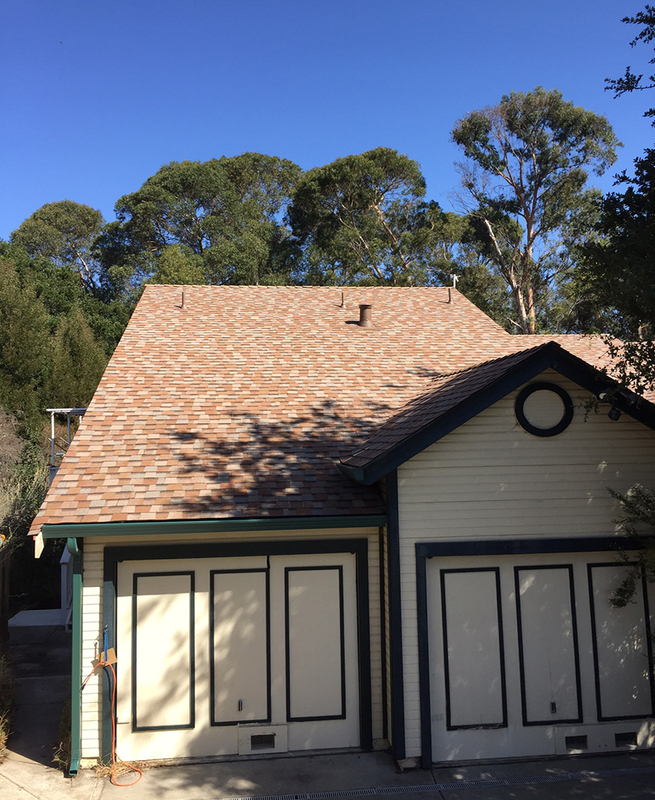 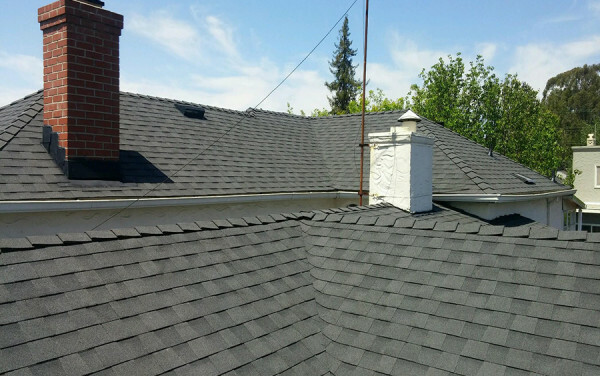 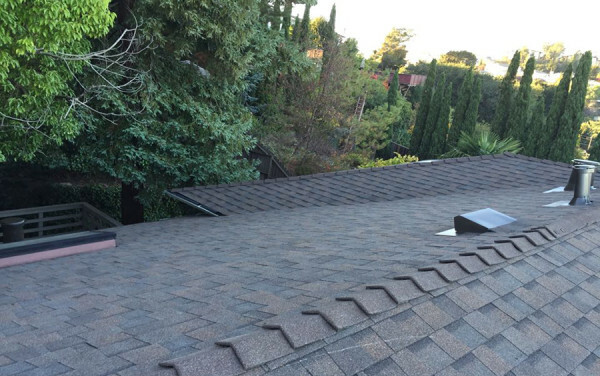 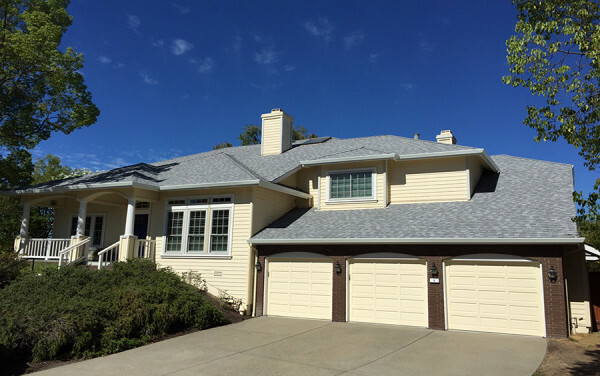 We installed 20 squares of Landmark shingles (color: Painted Desert), along with Forest Green gutters and downspouts on this house in the Fairview area of Hayward. 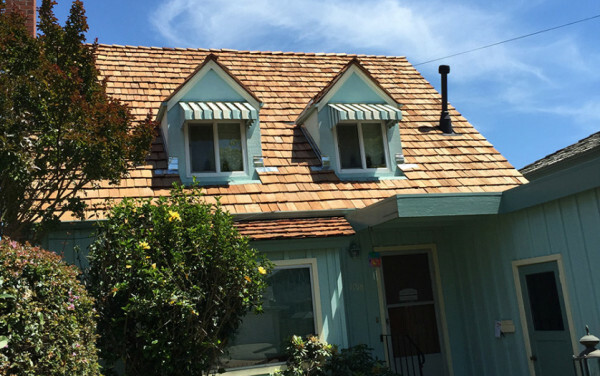 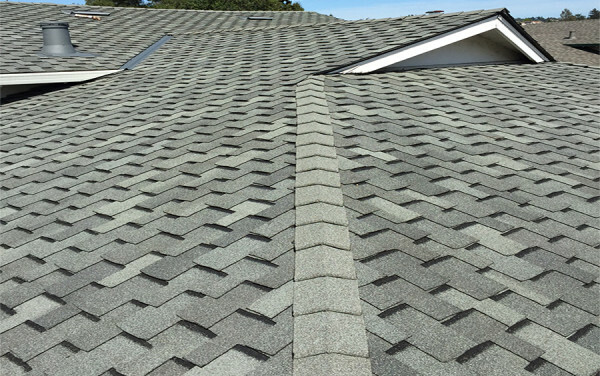 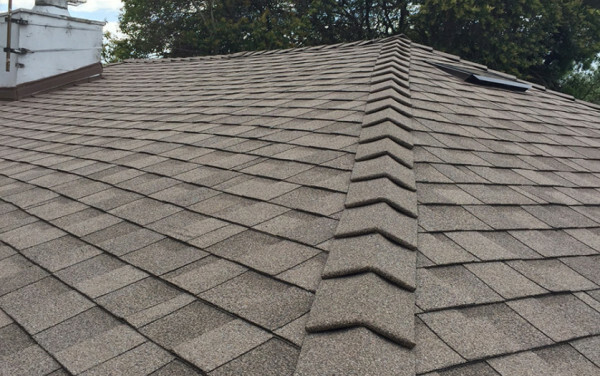 This unique shingle color ties in nicely with the home’s green trim and gutter scheme. 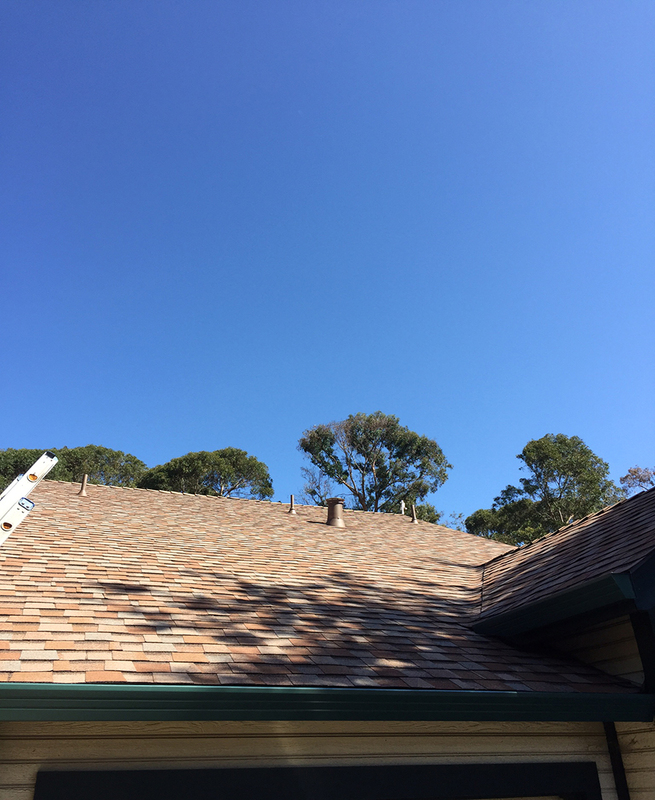 Some dry rot also had to be repaired on the barge rafter tail at the front left area of the garage. 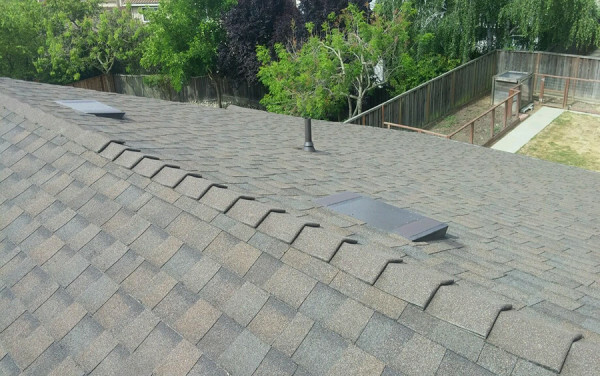 Rafter tails and eaves are the most common areas for dry rot to be found.